Handmade Shabby Chic Wall Clock. Skeleton Design. Shades of Grey. 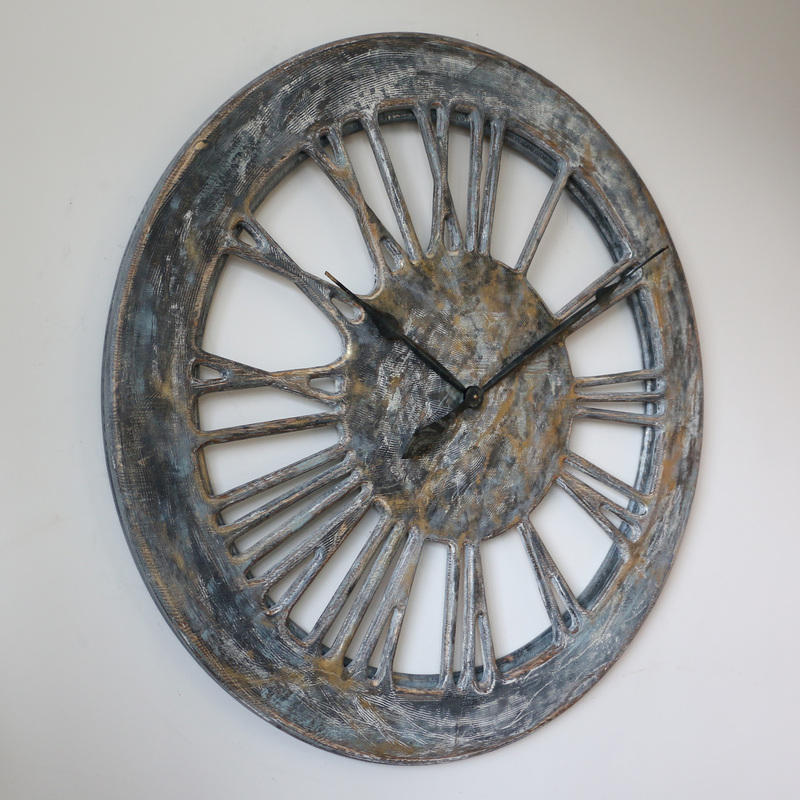 Our most beautiful shabby chic wall clock will make the desired “wow” effect on your friends and family. 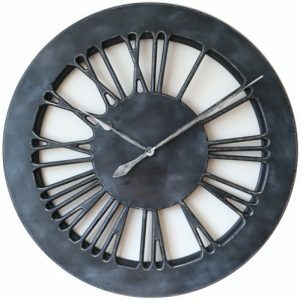 As you can see on the picture, its most unique face displays handcrafted roman numerals. Our trademark skeleton design provides fabulous three dimensional look and feel. 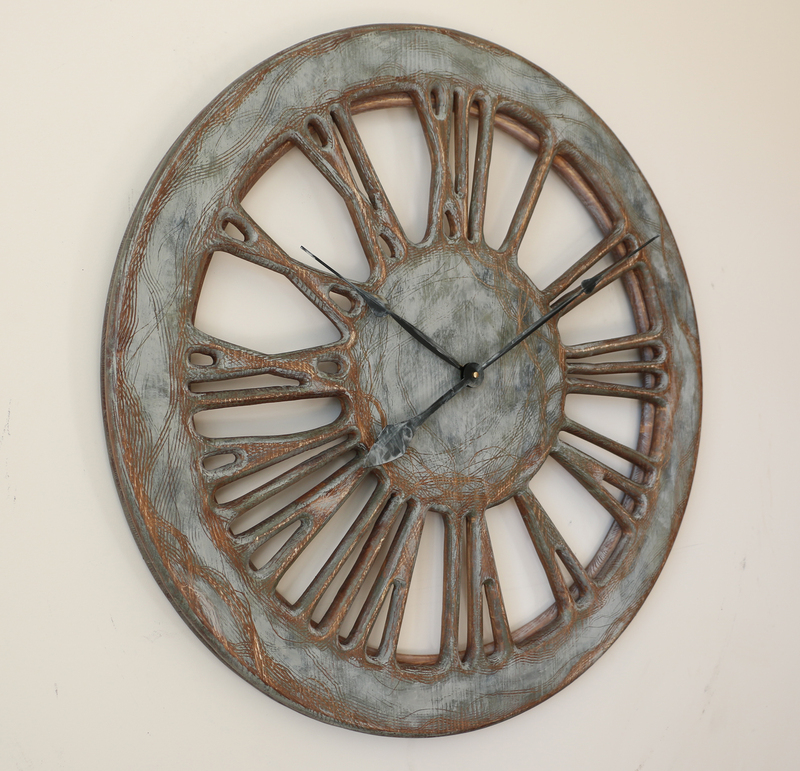 Like all other shabby chic wall clocks from our collection it is made of real wood and requires single C-Cell battery. You can select from three different sizes to suit your available wall space. What makes any shabby chic wall clock so attractive? Our customers are always first to give us great ideas for the new designs. 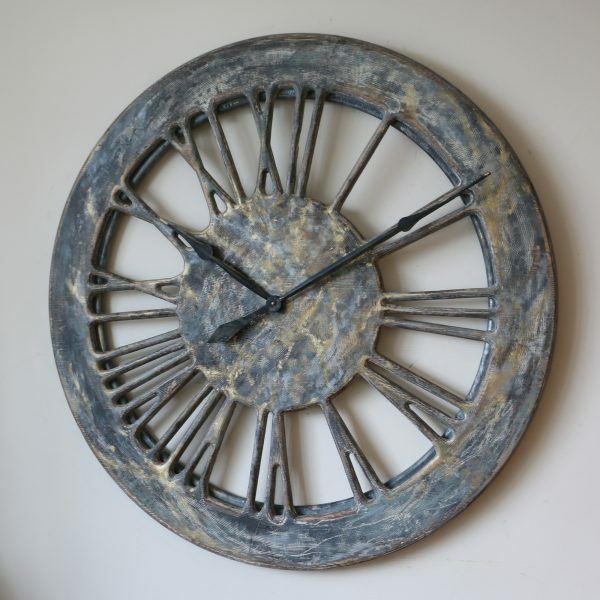 The shabby chic wall clock is one of the most popular asks these days. Why so many people love this trend in interior design? 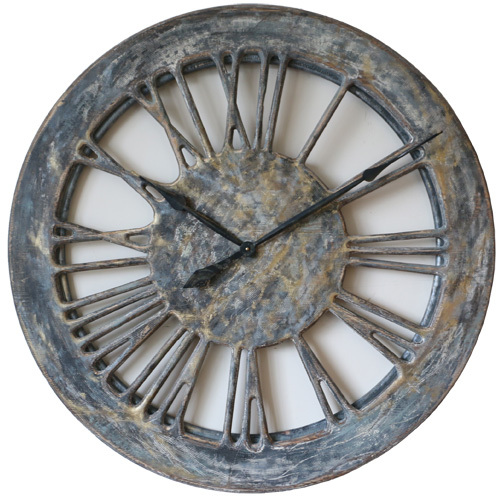 We have included multiple shabby chic timepieces in our online store but keep adding more. 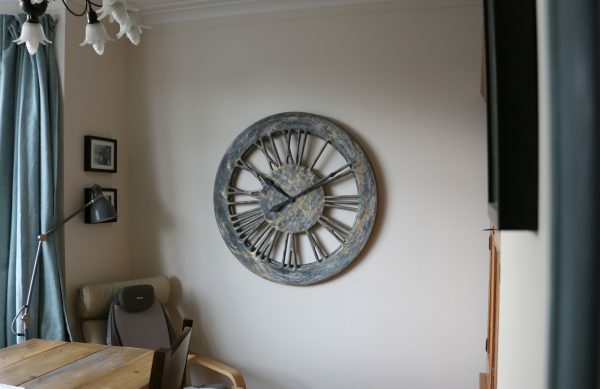 The reason many people ask for a shabby chic wall clock is because they know that those are most unique. It is simply impossible for me to replicate the same patterns and colours. 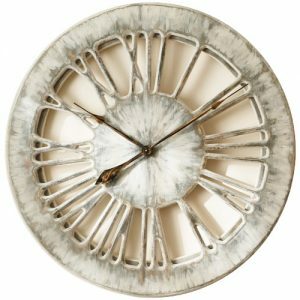 Shabby Chic is all about ageing and character and we all know that this is what guarantees remarkable look in every case. 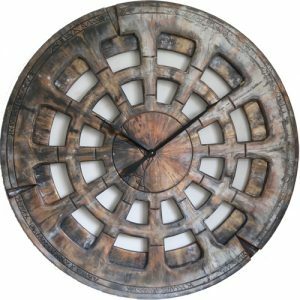 When we sell any shabby chic timepiece and the next order comes in for the same design, we don’t strive to make it identical. 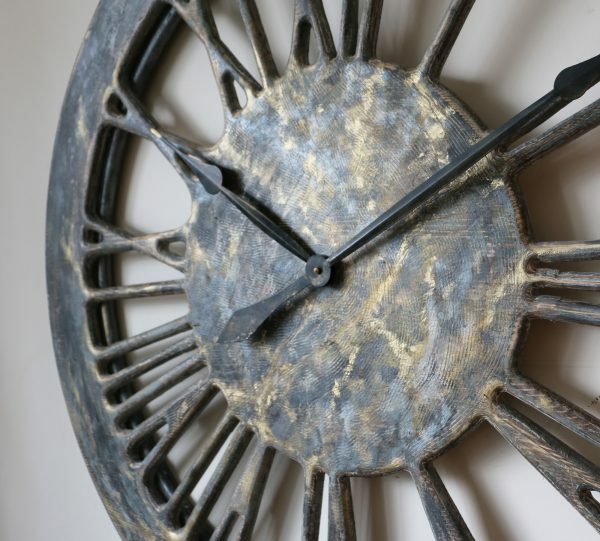 The main point is to maintain various colours, patterns or scratches but every time the result is slightly different. 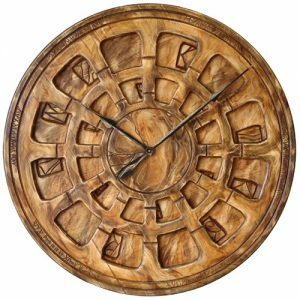 This is what makes Peak Art Clocks such a strong brand in this niche market. We don’t attempt to undercut other companies on prices and offers. What we do instead is beating everyone else when it comes to uniqueness. It was a while ago when the first member of large shabby chic wall clocks group was added to our website. 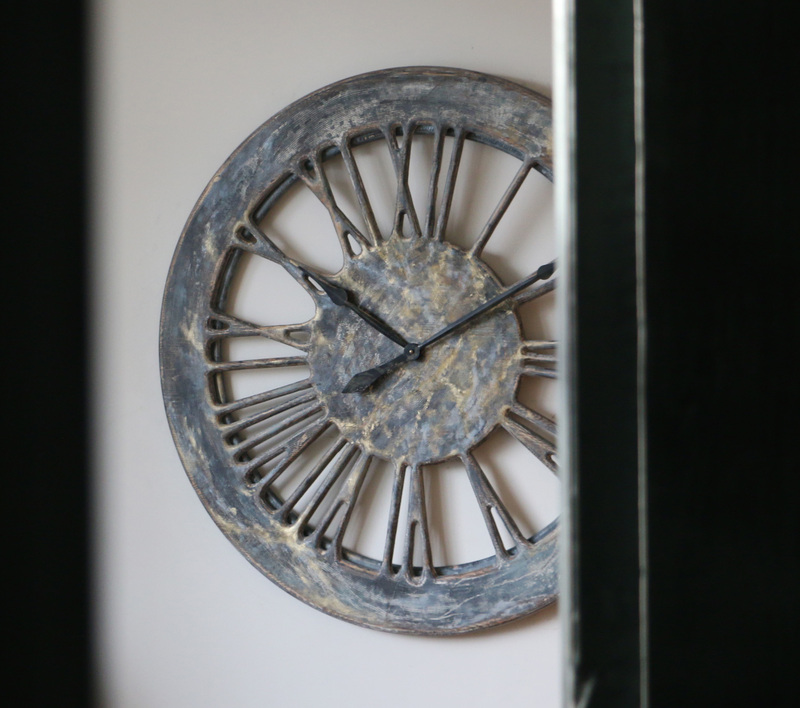 Ever since that day those beautiful timepieces have been gaining on popularity. You can either let us know what you think by contacting us directly or better leave you comments on our Facebook Page. We have thousands of fans and followers that not only stay in touch, but also provide inspiration. Why don’t you join our community and become part of something new. 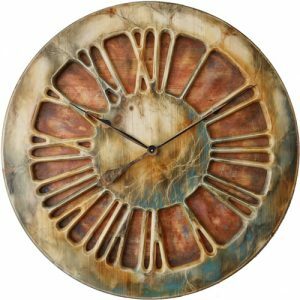 Lets change the fashion together and instead of large paintings decorate your wall with oversized handmade clock.